Girl Scouts of Troop 20118 worked together with younger scouts and The Unforgotten Haven charity to help the homeless. 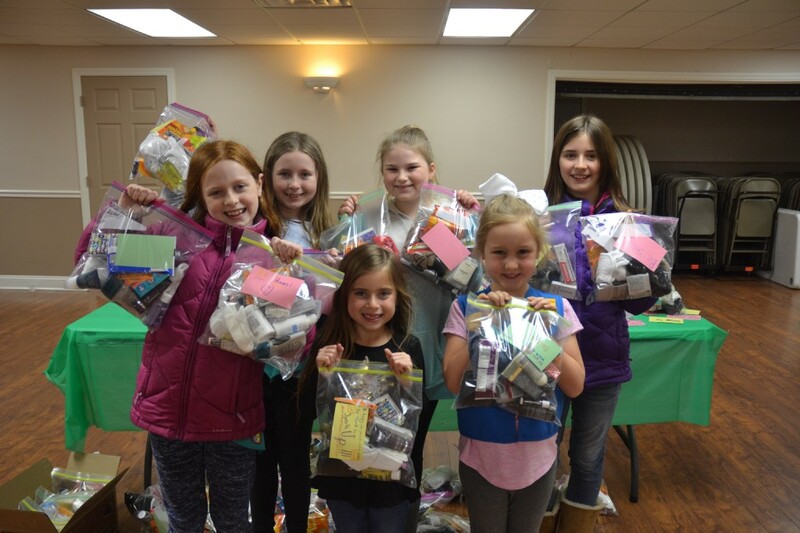 Girl Scout Troop 20118, along with kindergarten through fourth grade girl scouts are pictured with the blessing bags they assembled on Feb. 22. The blessing bags will be donated to The Unforgotten Haven charity, which will then be distributed to the homeless. Be strong. Be brave. Be a dreamer. Those are all phrases written by Girl Scouts of Troop 20118 that were placed into “blessing bags” to be given to the homeless. 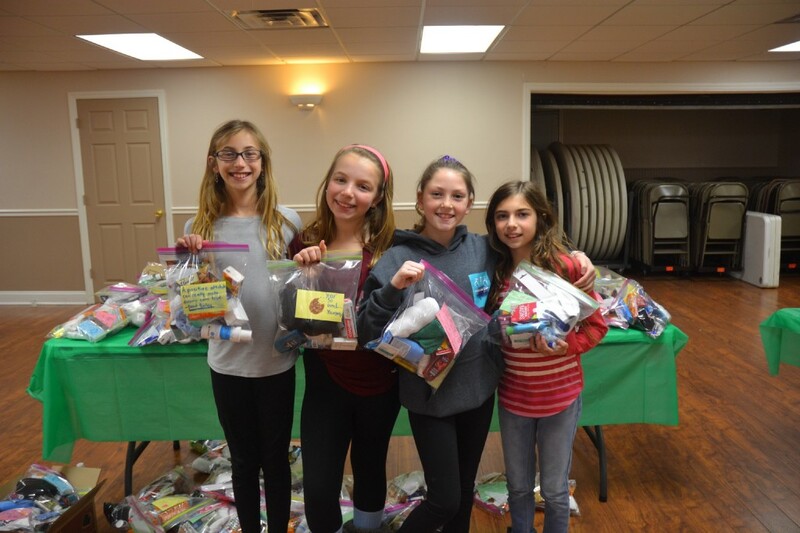 These fifth-grade Girl Scouts of Cranberry Pines School have been working together with The Unforgotten Haven to provide essential items to be distributed by the charity at its weekly homeless outreach visits to Philadelphia. Troop 20118 also worked with Girl Scouts in grades kindergarten through fourth grade to guide them in assembling blessing bags on Feb. 22. Together, they assembled a total of approximately 150 bags. These bags included items such as socks, lip balm, toothbrushes, toothpaste, lotion, shampoo and conditioner, hand sanitizer, soap, wet wipes, washcloths, tissues, deodorant, hand warmers and pre-packaged snacks. To collect these items, there were donation boxes located at Cranberry Pines School and Medford Bagel. Troop leaders Marisa Groves, Lisa Valentino, Denise Panto and Maria Tartaglia worked together to choose this charity, which they selected due to Tartaglia’s personal volunteer work with the organization. Groves said through this project the fifth-graders have had the opportunity to bond with younger Girl Scouts they otherwise would not have spent time with and it gives them the opportunity to expand their social skills. She continued on to say this project was the perfect choice for the Girl Scouts to participate in to further their involvement in service and allow them to see the importance of giving back, a main value the leaders hope to pass on to the Girl Scouts. “When they’re able to do things and help the less fortunate, it makes a big difference in how they grow up. All of the girls in our troop are very fortunate, so to give back, I think it really teaches them something,” Groves said. Grace Clark and Ella Kenderdine of Troop 20118 said that as Girl Scouts they have learned how to be determined and positive people. 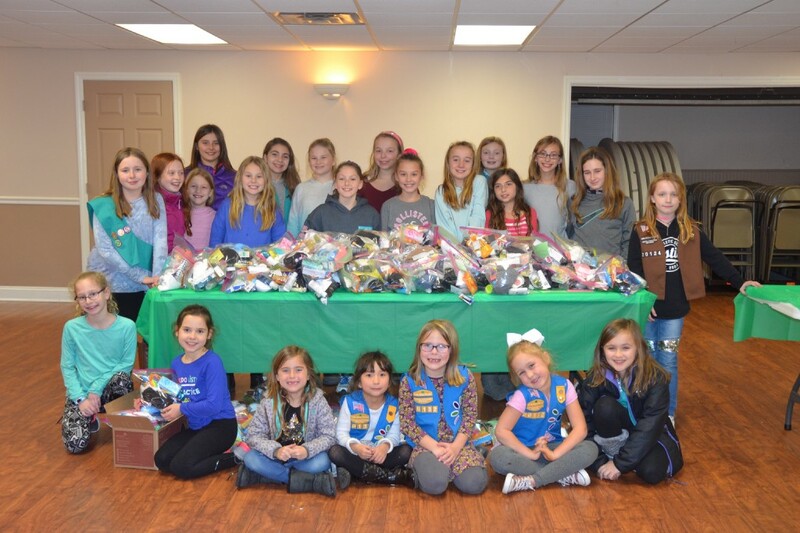 Through this project, they agreed they enjoyed acting as role models to the younger Girl Scouts, while helping others by assembling and donating blessing bags. First-grader Heidi Taylor said she enjoyed working with the older Girl Scouts and she learned some people don’t have food or money to buy the items they need. Kenderdine said this project helped her realize how fortunate she is to have a home and access to essential items.